No I have not taken up golf, although if I did I would probably be yelling out four quite often! (I never did inherit my Fathers finesse, he is the golfer in the family). Four more weeks … seems quite hard to believe, but in fact its true! Well that’s not really true. I had been thinking of using “Rise Up” by Six60 but the bpm wasn’t quite right and then I just put it into the “too hard basket”. Anyway Jo suggested I do a google search of the bpm I wanted to use and go from there .. and jackpot! Song found in less than an hour. Will have to put on my “nice Julia” hat and ask the boys in the studio nicely to cut it for me, the advantage of having a recording studio as one of the companies that my boss owns. 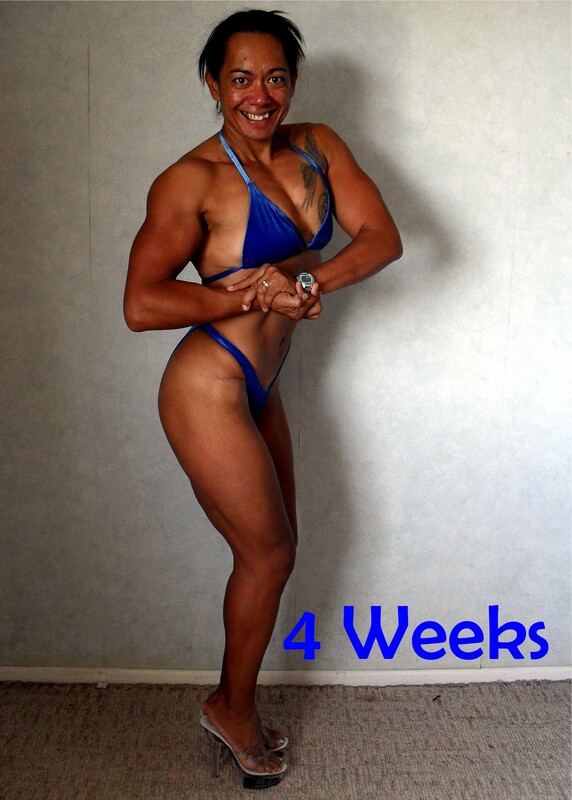 So update pic time .. 4 weeks looks a little something like this.